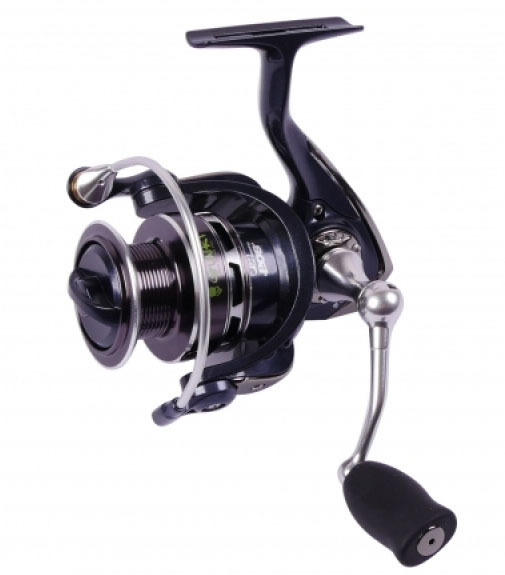 Gunki XGF FV Reel has been developed specifically for modern lure tactics and are built to give you reliable smooth performance so you can concentrate on enjoying your fishing. The rotor is extremely fluid and the gearing ultra-smooth which combined make these reels very comfortable to fish with. The drag system is progressive and precise allowing for fine tuning to suit different hookbaits. The line lay is smooth every time again essential for consistent casting. The Compact design of the body and rotor in light and strong composite material, fitted with a aluminium spool with LC (long cast) lip designed for a more fluid line transit over the spool lip for better casting performance along with Infinite anti-reverse, metal line clip and spare aluminium spool as standard. Along with the S-curve spiral oscillation system and anti-spin line guide are all part of the long life pick-up spring and consolidated bail arm. the XGF FV Reel is finished off with a progressive micrometric drag system and 'Easygrip' handle. These reels are light, smooth, silent and technologically perfect for the modern lure angler.